It’s been a while… but a lot has happened since my last post. First, my debut single on Sony / Family Tree, ‘Something More – Andrelli Remix’ was released on March 24th, 2017 and its now approaching 14 million streams on Spotify. It’s been amazing and I’ve now signed an artist deal with the label that means more music in 2018. A new single is coming soon. And I’ve been writing with some really cool people and old friends (in particular Marcus Lindberg and Hjalmar Wilen) too so there are lots of songs ready to record. The next single, which I’ll be able to talk more about soon, was written with a song writing legend, Jörgen Elofsson. He’s written so many amazing songs and I feel pretty lucky that he’s working with me and helping me develop. And I’ve been rehearsing to start touring so look out for dates, hopefully, soon. 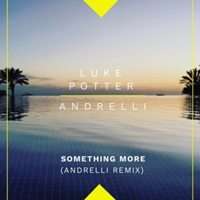 So, if you didn’t hear my awesome news yet Sony / Family Tree in Sweden have just issued a remix by Andrelli (Hearts & Colors, Lady Gaga) of ‘Something More’, a song I wrote with my great friends Marcus Lindberg and Hjalmar Wilen. It’s my first release on a major label so I’m pretty psyched! 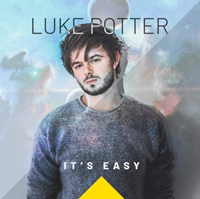 Please check it out on Spotify or take a look at the lyric video below posted on my new VEVO channel.